This section of our website is if you are trying to match the color of an existing drum, or you prefer to select your own color for your new wraps. Click on the link provided below. This will take you to the Pantone Color Selector. Pantone provides industry standard colors and associated ID numbers for ink printing. 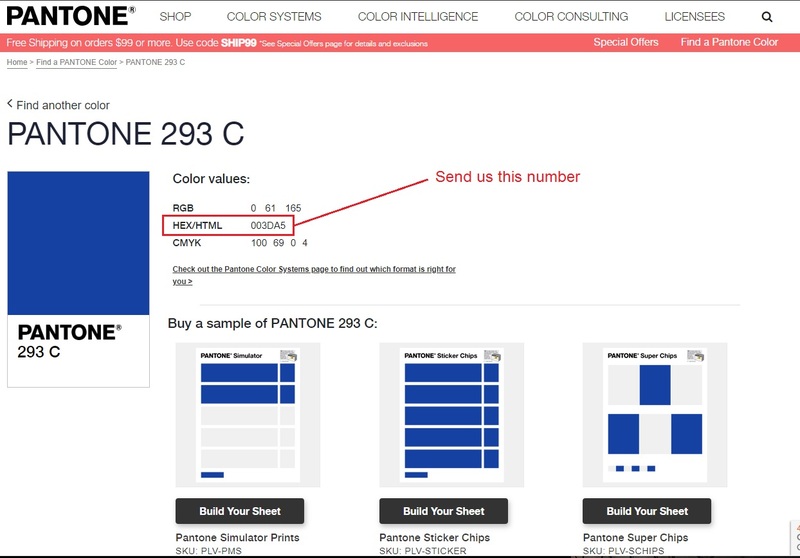 Find the color you want and then include the HEX # in the Notes section of your order form. Place your order from any of our design pages. Select all of the sizes you need, add any air vents from our Accessories page, add the HEX# and place your order. We will call you to confirm everything including color selection.